Please excuse the somewhat self-congratulatory tone of this post. I was very excited to learn this week that the European Research Council (ERC) expects to fund my research proposal on online labour markets and the sociotechnical rules or institutions that govern their participants and shape market outcomes. With a duration of five years and a budget of 1.5 million euros, this project will be a major milestone for myself as well as for the study of digital markets and their impacts on society. The project will involve quantifying the growth of online labour markets and comparing the institutional makeups of different marketplaces, ranging from e.g. 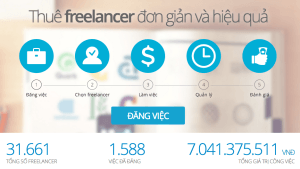 California-based oDesk to Japanese CrowdWorks or Vietnamese Vlance. It will involve tracing the politics through which these institutions are shaped, and uncovering the means through which workers attempt to assert their collective interests in these 21st-century transnational labour politics. It will involve asking, is work becoming more entrepreneurial, more networked, or more playful? The ERC Starting Grant is one of the very largest and most competitive grants available to an early- to mid-career social scientist. There were 3273 proposals this year, and around 10 percent of the proposals have been funded in recent years. Based on six favourable external reviews and an interview in Brussels in October, the evaluation panel recommended that my proposal, known as iLabour, be funded in full. No new plan or idea was ever developed in a vacuum. This research agenda is the result of countless interactions with friends and colleagues at the Oxford Internet Institute, the Dynamics of Virtual Work COST Action, the World Bank and infoDev, startups such as Microtask, MobileWorks, CloudFactory, CrowdFlower, and oDesk, and countless other friends and collaborators around the world. Thank you for everything so far, and I hope that I can call on you again now that the work is starting in earnest! Incidentally, I am writing this post from Ho Chi Minh City, Vietnam, where I have just finished fieldwork in a closely related project with OII colleagues Mark Graham and Isis Hjorth that investigates online freelancing from the perspective of global development. With Mark’s recently launched ERC project on Sub-Saharan Africa’s knowledge economies and now this new ERC project, I can’t help but observe that the OII is starting to emerge as the leading centre for the study of the global digital economy. Below is an extract from the ERC reviewers’ comments that gives an idea of the wider societal and scientific contexts of the iLabour project. “The study of labour markets, employment and work in the network society is one of the key areas of activity in today’s sociological and political economy research. We know from statistical studies that employment in network societies is changing and we are also aware that work relations are one of the key areas of social conflict induced by the contradictions of informational capitalism. At the same time, we know very little about what is happening as companies appropriate online mediation directly (such as the ongoing experiences of German companies implementing the ‘industry 4.0’ development plan and the ‘Internet of Jobs’), but also through local and multinational temporary work companies, which are now moving from low-skill temporary jobs into high-end work and providing high-skilled functions over a distance. By posing the question of how digitization is changing the relations of power in the contemporary labour market, the proponent is going beyond the state of the art, transcending traditional sociological and economic perspectives on the division of labour and adopting instead a viewpoint rooted in science and technology studies, which approaches the labour market as a sociotechnical ensemble. Note: This post was originally published on the OII's Connectivity, Inclusion, Inequality blog on 10 December 2014 4:02 am . It might have been updated since then in its original location. The post gives the views of the author(s), and not necessarily the position of the Oxford Internet Institute.